Creating a business presentation is a tough job to say the least. Not only do you have to ensure that all of your information is accurate and presented in an accessible format, it’s also the case that you have to think about your audience and what sort of content will appeal to them. But help is at hand: by creating animated videos which can be embedded in your business presentation and used to great effect in terms of viewer experience, you can increase the chances that the people you’re pitching to will have a positive response. Video offers a number of advantages, but from the point of view of a general audience member there is none more useful and tangible than the explanation of key concepts. Often, a niche product or service is best explained through the use of animated sequences: many products require a lot of activation steps, for example, while others have so many different use cases that only fast-moving animation can accurately convey the range of different use cases in one particular presentation. Whether you’re hoping to attract investment or you’re simply presenting your key idea to someone more senior within your organisation, it’s possible to use an animated video to explain the major concepts. And with animated corporate video services available online, it doesn’t have to be a difficult process. Creating and showcasing an animated video is the sort of task that takes a bit of design skill in order to pull off. If you’re involved in the creative industries, of course, the benefits of this sort of decision are obvious. And even for those who are involved in non-creative sectors, including an animated video in your investment pitch or other business presentation demonstrates that you’re capable of turning your hand to all sorts of different talents, and that you can adapt and change depending on your audience. That’s the sort of skill that’s useful no matter what sector you operate in. It’s also worth thinking about the dynamics of a business presentation on a psychological level. One of the universally recognised facts about a business presentation is that it requires a certain level of engagement on the part of the person delivering it: creating a presentation is hard work, but adding video is even more complex. So by including video content which is useful to the viewer, you’ll send out the message to your audience that you’re a hard worker who went to the trouble of creating and including that extra content. Business presentations are nerve-wracking at the best of times. And the thought of introducing video creation into the process can cause even more angst. 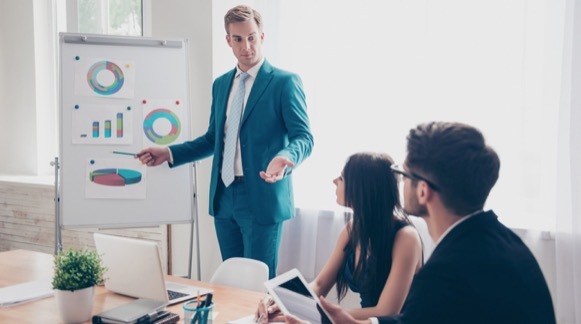 But it doesn’t have to be that way: with so many online services designed to make the business presentation process as simple as possible, the myriad benefits of animated video processes can be used to their full effect without causing problems.